Mr. EAD. Look at his belt. His face looks like Mario and EAD means Entertainment Analysis & Development. The same department that makes almost every Nintendo games. The creator of his ship “The Great Star” is Shiggs Mapone, they didn’t even try to hide the reference to Shigeru Miyamoto. 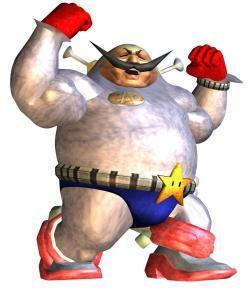 He is also present in the ultimate ending in F-Zero X. To see this ending, you need the 64DD and the Disk Drive Expansion and then win every cup in master mode with all 30 vehicles (thus 180 championships in the highest difficulty). After that, the regular ending on Joker Cup and DD2 Cup isn’t the usual one. It isn’t shown on the video but you can zoom, move and turn Mr. EAD with the pad. It’s been discovered in 2006, 8 years after the release. 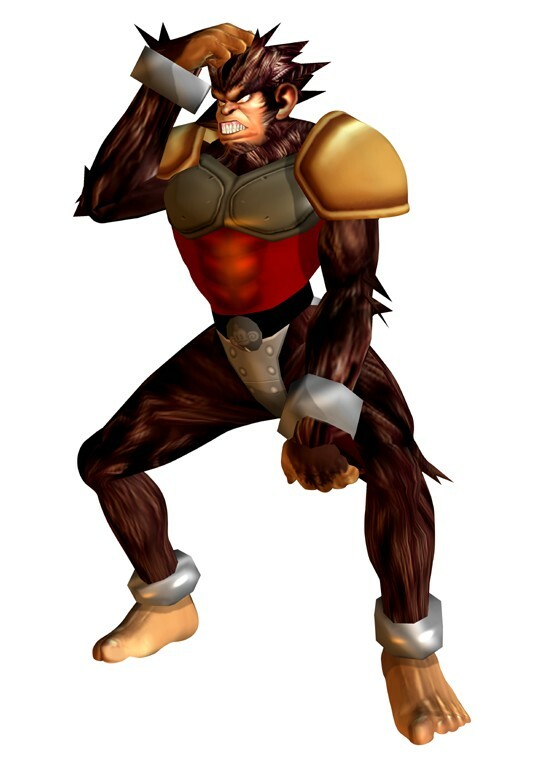 Billy, one of the characters of F-Zero GX has an unusual printing in his belt: Aiai from Super Monkey Ball, hard to see in game (for obvious reasons), but you can see it in official artwork. Don’t think that has been posted here yet. Check out WWE-wrestler Cody Rhodes’ (left) tribute to his favorite videogame-series. Apparantly he’s been doing this over a year now, funny that I just noticed it a couple of weeks ago. 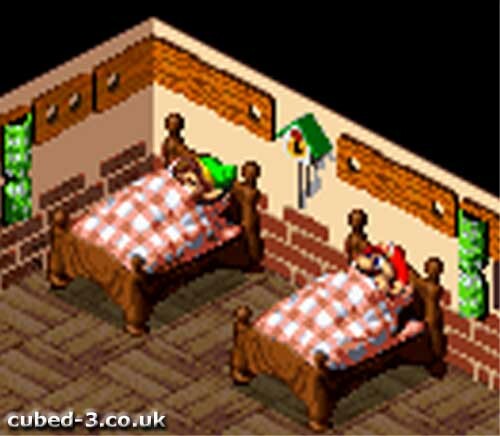 in Super Mario RPG If you go to the hotel in the Mushroom Kingdom and sleep there, in the morning Link will be asleep in one of the beds, and if you go and try talk to him you will hear the Zelda secret sound. I dunno when the switch has been done. 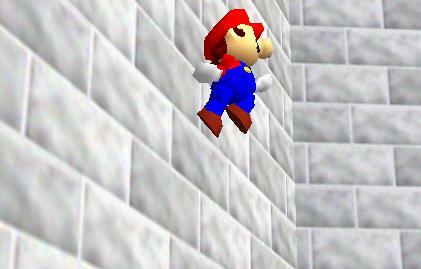 But trust me Mario, one day you’ll pay the price for crushing your neurons. Don’t know if anyone else here remembers this from Zelda or not. The original version of The Great Fairy did NOT look like that creepy cackling ugly …thing. I had a magazine that had images of the original who was later dubbed Blue Fairy. Here is a trailer with her in it. And now a patch that shows she is STILL in the game code. Also the Dragon in Ocarina of Time was programmed by directly importing an Arwing from starfox into Zelda’s code and editting it. This is also still in Zelda and can be brought out and fought usinga gameshark code.